veteran of H Company, 505th PIR. 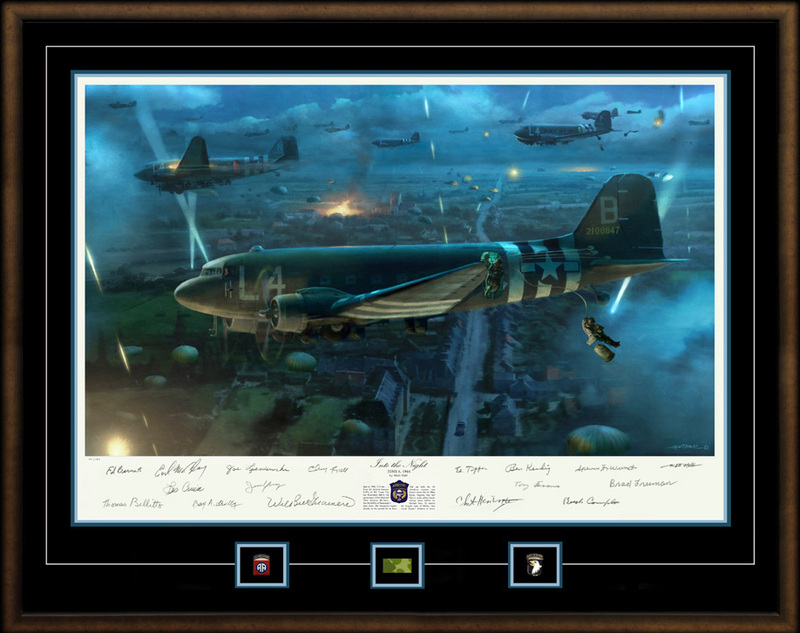 Les was one of many veteran paratroopers that signed both prints. 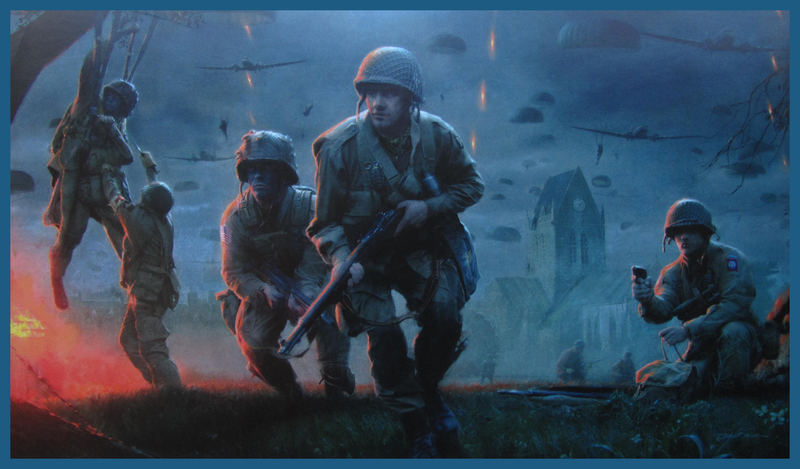 "Airborne Invasion D-Day, June 6,1944". 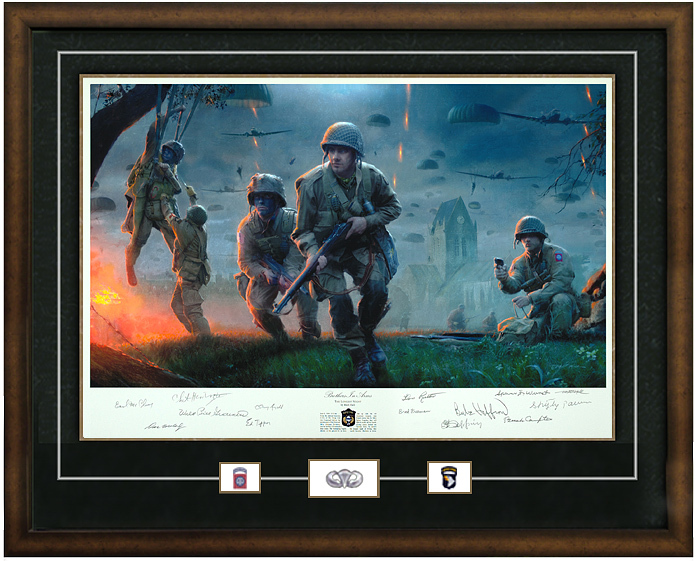 Mural #1- Oil Painting by William Linzee Prescott of HHC Company. 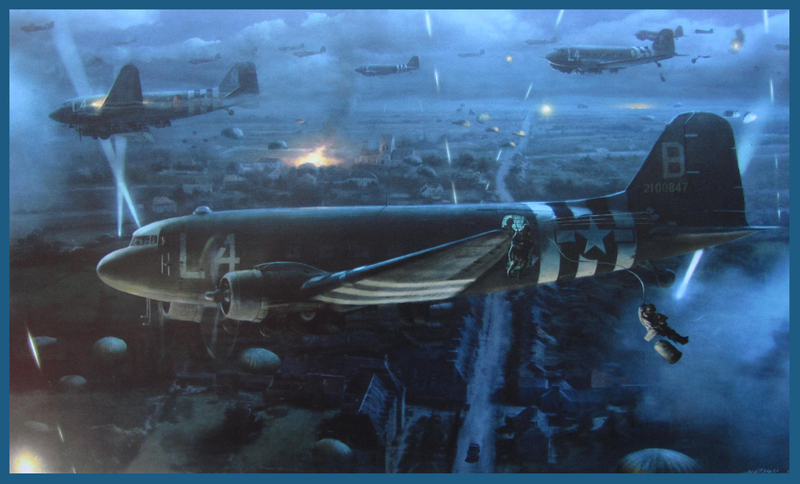 "Airborne Invasion D-Day, June 6,1944". Mural #2- Oil Painting by William Linzee Prescott of HHC Company.